Dezeen podcast: in this latest podcast for the Design Museum, curator Nina Due gives a tour of the Brit Insurance Designs of the Year 2009 exhibition, on show at the museum in London until 14 June 2009. The exhibition includes 91 projects shortlisted for the Brit Insurance Design of the Year award, spanning seven categories: architecture, fashion, graphics, furniture, interactive, product and transport. 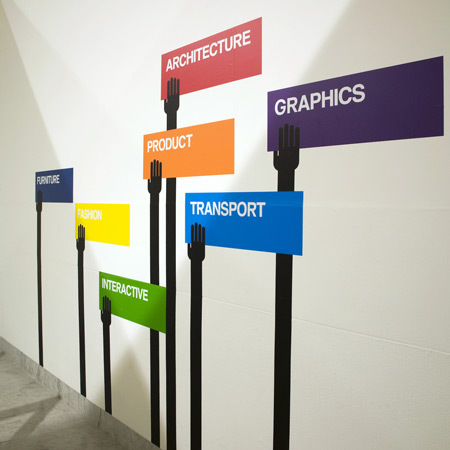 Projects across disciplines are grouped together in themes within the exhibition, including 'narratives', 'typologies', 'communication', 'participation' and 'bespoke'. One winner in each of the categories will be selected by a panel at the end of February and an overall winner will be announced on 18 March. There will also be a ‘People’s Choice Vote’, which the public can vote for via the exhibition blog. See our previous story more information about the exhibition and details of the full shortlist. The world’s most interesting and forward looking designs have been nominated for Brit Insurance Design Award by industry experts spanning seven categories: Architecture, Fashion, Furniture, Graphics, Interactive, Product and Transport. This shortlist will be on show at the Brit Insurance Designs of the Year exhibition. From this comprehensive list, the panel will decide the category winners in each of the seven disciplines to be announced at the end of February. These finalists will go forward to vie for the 2009 Brit Insurance Design of the Year to be judged by a high profile panel, chaired by Alan Yentob and including the designer and environmentalist Karen Blincoe, and the architect Peter Cook.